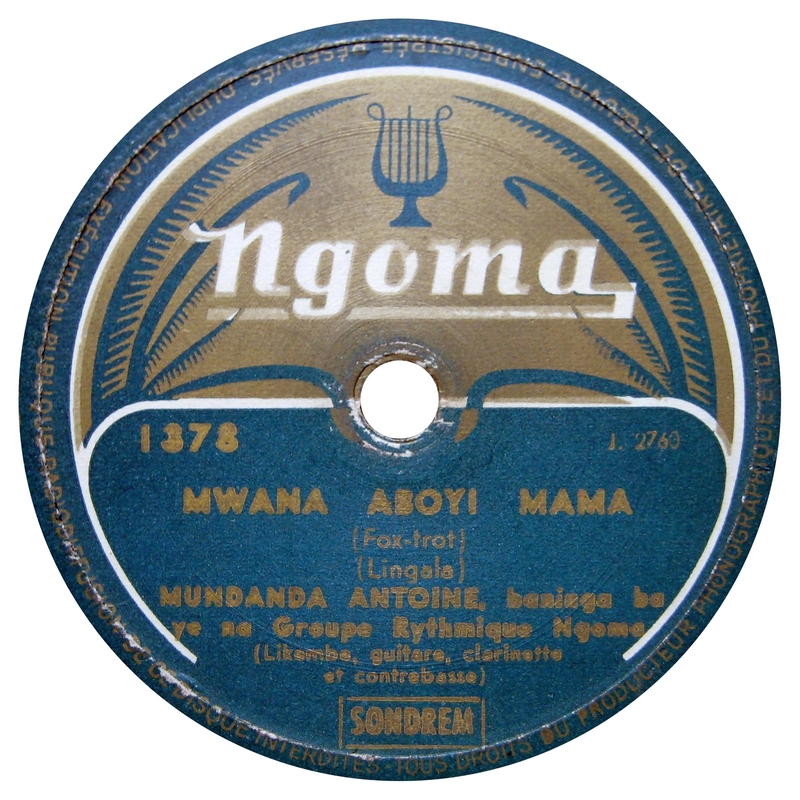 Ngoma was one of the first record labels intended to provide local African music to the people of Belgian Congo (now the Democratic Republic of the Congo). It was the leading label throughout the 1950s, with a catalogue of more than 2160 78 rpm records. It was active until 1968. Antoine Mundanda was a master likembe player (Congolese ‘thumb piano’). In the early 50s he formed Likembe Geant, a group dedicated to combining then contemporary dance rhythms (the polka, the djebola, the rumba) with traditional Congolese likembe music. They became highly successful within the local music scene, releasing over 30 albums and packing out bars and clubs whenever they played. 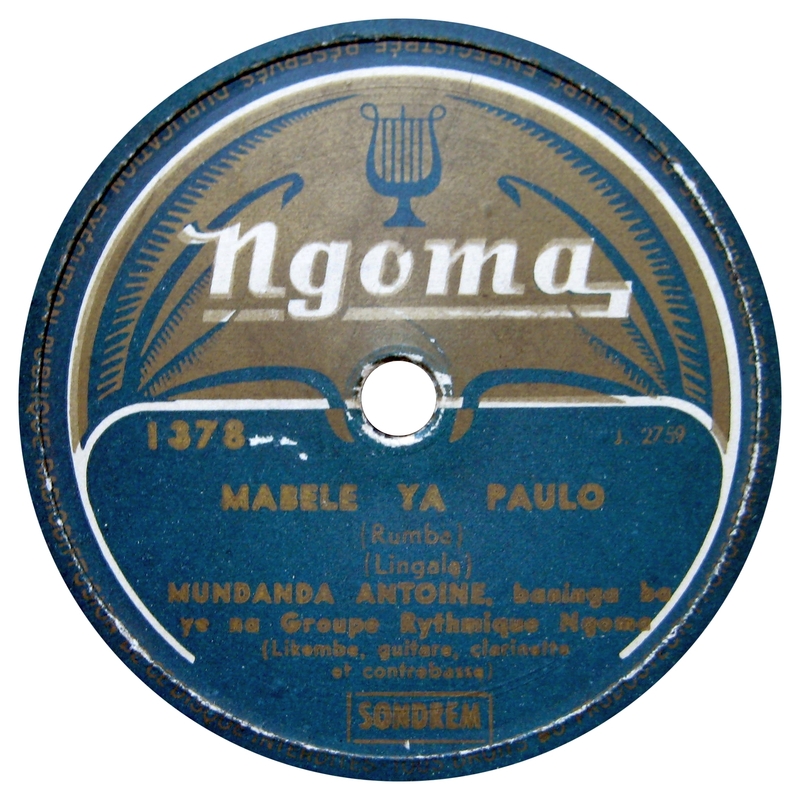 This 78 rpm record by Mundanda, accompanied by the Groupe Rythmique Ngoma, came out in 1953 (or 54?). Sources: Wikipedia, Afrodisc, Rumba on the River: A History of the Popular Music of the Two Congos, Allmusic, Satyr78curiosa, Africine). Editions Esengo was a recording studio and label founded in 1956, by the Greek businessman Constantin “Dino” Antonopoulos. 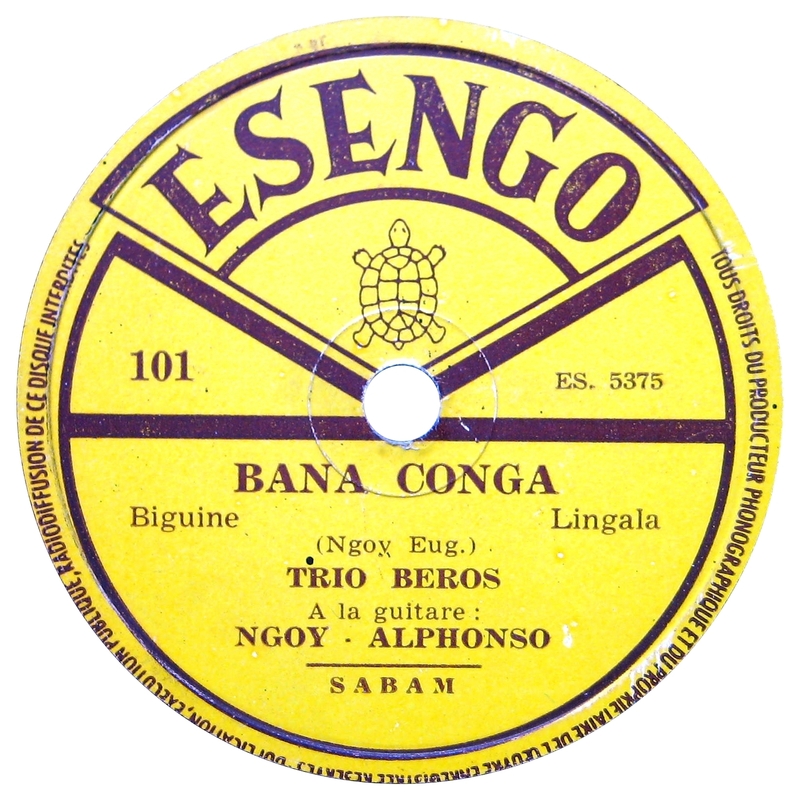 The label was in based in Léopoldville (now Kinshasa), in Belgian Congo (now Democratic Republic of the Congo). Esengo is taken from the Lingala language, and is the word for “happiness” or “joy”. Antonopoulos established the enterprise by purchasing material from the defunct Opika record label, and recruiting Loningisa guitarist and composer Henri Bowane to be artistic director of the firm. 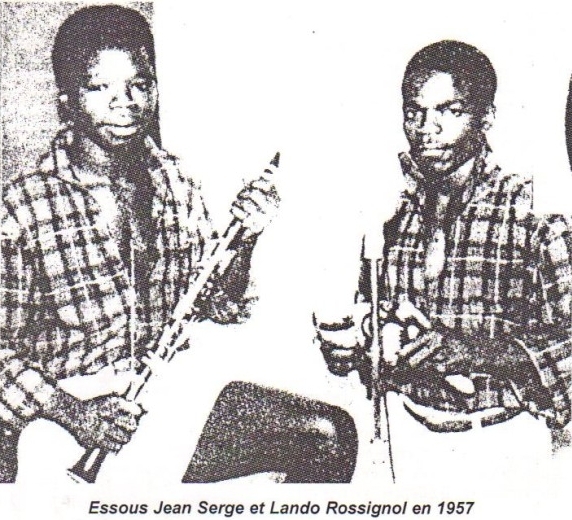 The departure of Henri Bowane from Loningisa (more info and audio here) was a big blow, because he took with him a large number of musicians, including Jean Serge Essous, Philippe “Rossignol” Lando, Saturnin Pandi, Liengo Honoré, Augustin Moniania “Roitelet”. 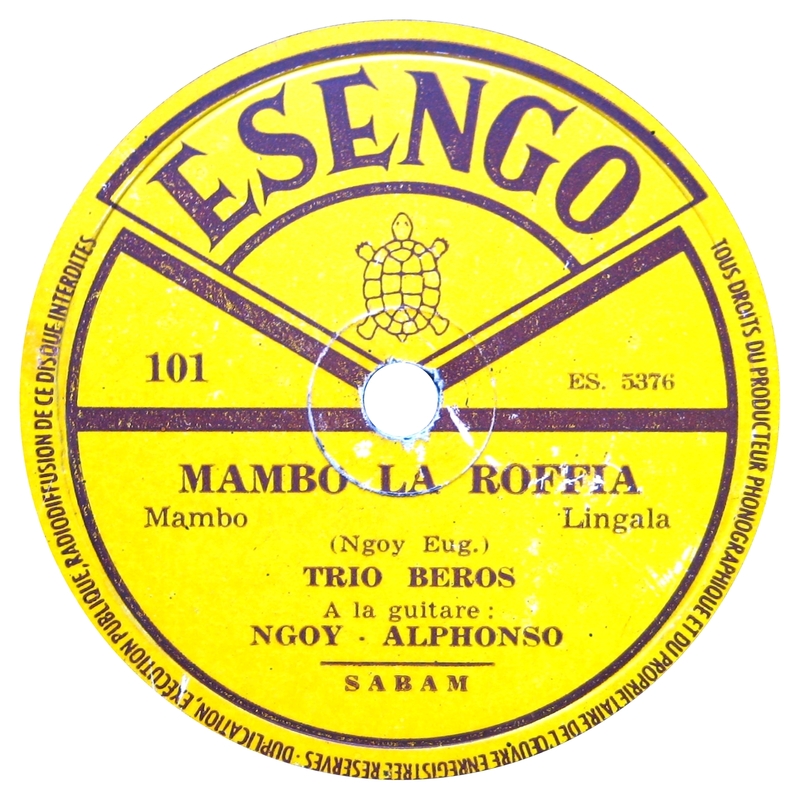 Leon Nzambe “Sathan”, Alphonse Epayo, Maproco, and Marie Isidore Diaboua “Liengo.” In the milieu of the Rumba, the Trio “Beros” laid the foundation with many titles that have arrangements whose construction demonstrated a strong desire to think outside the box. On these two recordings, Trio Beros accompanies Eugene Ngoy. 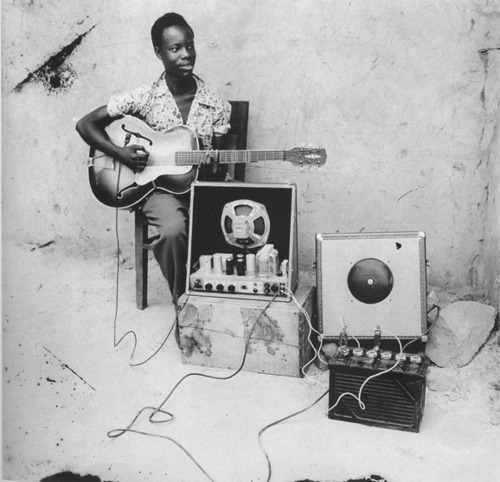 Sources: Wikipedia, Rumba on the River: A History of the Popular Music of the Two Congos, Muzikifan, Congo’s first Guitar God: Henri Bowane. 16 smooth jazz tracks with a melancholy undertone, to fit that autumn mood! Recorded in Paris, October 14, 1949. Issued on Vogue V 5014. Recorded in Los Angeles, May 27, 1941. Audio transfer made from a UK Decca BM 03233. Recorded in NYC, September 4, 1934. Audio transfer made from a UK Decca 02686. Recorded in NYC, March 5, 1929. Audio transfer made from a UK Parlophone R 753. Recorded in Los Angeles, February 17, 1942. Audio transfer made from a Decca BM 03664. Recorded in New York, Aug. 18, 1937. Recorded in Paris, January 31, 1941. Issued on Swing SW. 105. With, among others, Joseph Reinhardt on guitar, Alix Combelle and Hubert Rostaing on tenor saxophone, Aimé Barelli on Trumpet. Recorded in New York, May 21, 1947. Issued on RCA Victor 20-2694. Audio transfer made from a UK His Master’s Voice J.O.93. Recorded in London, November 18, 1934. Issued on Parlophone R 2041. Recorded in NYC, June 30, 1939. Recorded in Hollywood, July 3, 1941. Audio transfer made from a UK His Master’s Voice B.9283. Recorded in New York, September 14, 1939. With, among others, Sidney Bechet on soprano saxophone. Audio transfer from a UK His Master’s Voice B.9216. Recorded in New York, October 17, 1928. With, among others, Johnny Hodges on alto saxophone. Audio transfer from a French Brunswick ‎A 500.190. Recorded in New York, November 7, 1940. With, among others, Count Basie on piano, Cootie Williams on trumpet. Audio transfer made from a Dutch Columbia DCH 301. Recorded in NYC, December 1937. Audio transfer from a Dutch Kristal 21704. Recorded in Paris, April 21, 1937. Issued on His Master’s Voice B.8669. With Stéphane Grappelli (violin), Django Reinhardt (guitar solo), Pierre “Baro” Ferret (guitar), Marcel Bianchi (guitar), Louis Vola (bass). This new playlist is devoted to Belgian artists, or artists who have strong roots in Belgium. You will hear gipsy jazz, swing, dixie, big band, musette,… These tracks have been transferred straight from original 78 rpm records. The sound quality depends on condition and era of production. The records on the Belgian label Rythme released during WWII, for example, are not of the same quality soundwise as, let’s say, records pressed for Decca in the 1950s. But they hold some great music and should not be omitted. -> With Pierre, Jean and Challain Ferret on guitars. -> Info on Gus Viseur: wiki & Keep (it) Swinging (in Dutch). -> With David Bee on harp. A new playlist: 9 awesome jazz tracks!